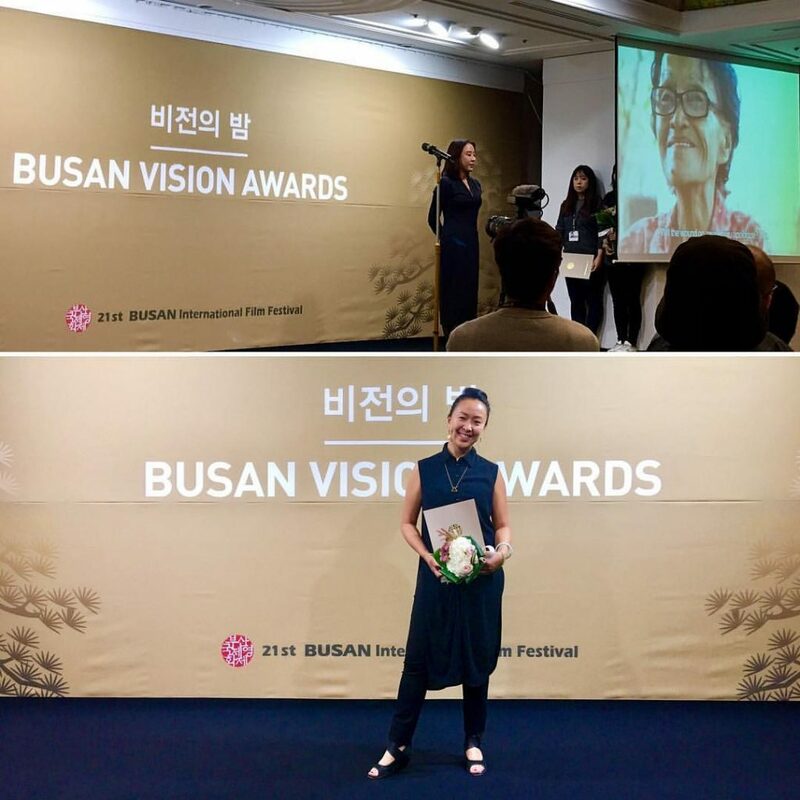 We want to congratulate The Apology and director Tiffany Hsiung for winning Busan Cinephile Award for Best Documentary at the 21st Busan International Film Festival! Back in May of this year, Reel Asian was honoured to co-present with Hot Docs the important and impactful Canadian Doc, The Apology. Director Tiffany Hsiung took time out of her busy festival schedule with Hot Docs to have a chat with our Head of Programming, Kristine Estorninos. Kristine: In 2007, Reel Asian screened your short film, BINDING BORDERS, a story about four very different characters reminiscing about their lives before immigrating to Canada. Between this short and THE APOLOGY, it’s clear you are drawn to encouraging the viewer to learn the “whole truth” about someone’s culture, someone’s past, and how the past continues to affect their present. Tiffany: When I went into filmmaking, there was always a sense of needing the space and platform to be able to share the root of all things. For us to understand who we are today and the world around us. I think that in our society, there is a lot of fear and not knowing, and that’s where prejudice stems from. If we understand more about one’s culture, about the root of where things are derived from, that fear will slowly break away, and we can actually have more understanding and more compassion for one another and for one another’s culture. That to me is fundamentally why filmmaking was important to me. I feel that [film is] a very clear medium that can […] provide people more of that platform to understand and share one’s culture. Furthermore, I always felt that when I was like growing up there were never any stories that I could relate to. I tried to find [that] “relatability” in shows like 90210 (laughter). But TV shows or movies back in the 80s and 90s never really represented my culture. Growing up in North America, it was really hard […] to navigate your own space in trying to find role models, or storylines that you could relate to, even though the people didn’t really represent your culture. I feel like we’re getting better at that, with shows like Fresh Off the Boat, etc. But it’s still not enough. That’s why I love Reel Asian so much, because it gives you that space where people can watch movies that you know you can draw your culture from, and you know you can share that space with your grandparents, your parents, your children. And I think we’re really blessed to have that in North America, but I still think that we can do more. I think it’s up to filmmakers and storytellers to be able to write and share stories, or document stor[ies] that help us preserve our culture in a very contemporary way. I think we can do a great job with documenting and showing contemporary everyday life that really isn’t so different from everyone else’s. And that’s always been really important to me, because I lacked [that] representation in media growing up.